This is the first of the two shows featuring Dr. Anthony Mwami, a Nuero Lingustic Programming Expert and Executive Coach. Here he discusses the subject "The Kingdom Mandate of a Believer." 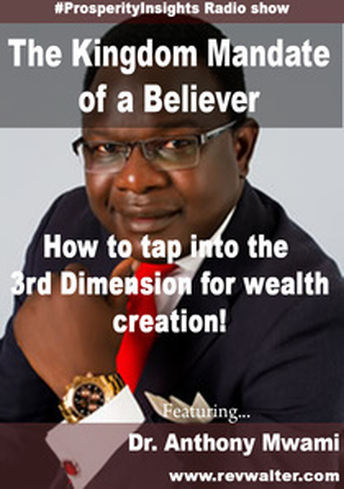 Listen in and learn how to tap into the third dimension and harness your true wealth creation potential as God gave it to you.